Home / Billboard Hot 100 / Cardi B / charts / Cardi B Holds Billboard Hot 100 No. 1 With "Bodak Yellow"
Cardi B Holds Billboard Hot 100 No. 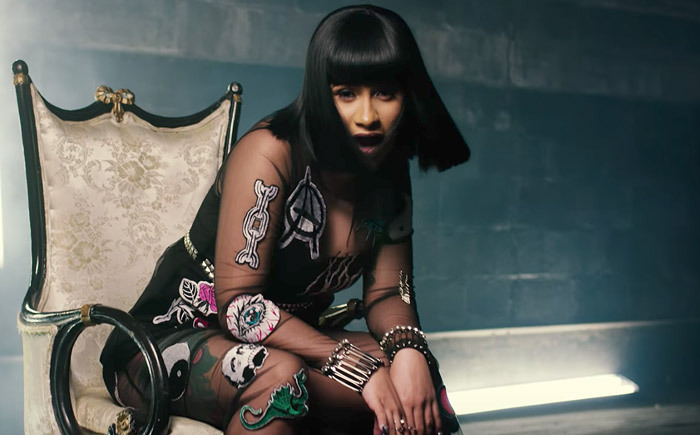 1 With "Bodak Yellow"
Cardi B spends a second week at the No. 1 spot on the Billboard Hot 100 No. 1 with her single Bodak Yellow. The top 3 remains the same: at No. 2 we have Post Malone's Rockstar featuring 21 Savage and at No. 3 we have Taylor Swift's Look What You Made Me Do. Cardi B passa a sua segunda semana no #1 da tabela de singles mais vendidos nos EUA com Bodak Yellow ! O top 3 encontra-se inalterado: no #2 temos Rockstar de Post Malone com 21 Savage e no #3 temos Look What You Made Me Do de Taylor Swift!